In 2016, we built upon our mission by continuing to support the individuals and organizations who are working hard to improve our communities. We added new programming while refining some of the pilot programs we have tested in previous years. 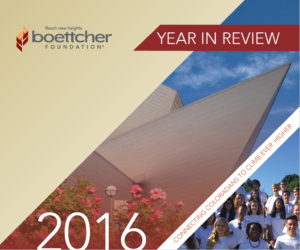 We invite you to read the full 2016 report.